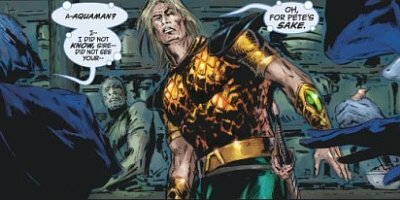 Newsarama has a six page preview of Aquaman: Sword of Atlantis #42, which they claim will be shipping on May 3rd despite reports that it will be delayed until May 10th. I can't tell you when it will be out for sure, so check back on May 3rd to see if it came out. In the meantime, check out the preview to ignite your interest.